Details: Embrace your inner child and join us for the release of our Fruity Pebbles Kölsch! 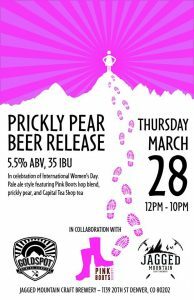 Details: We teamed up with our good friends at Jagged Mountain and the Pink Boots Society for our International Women’s Day Brew!! This Prickly Pear Tea Pale Ale contains notes of tangerine, mango, passion-fruit, pineapple and prickly pear and Root Shoot Genie Pale. We partnered with Capitol Tea, Source of Nature and Pink Boots for this awesome beer! 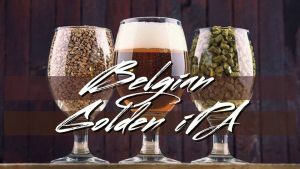 Details: Join us Thursday March 28th for the tapping of our International Women’s Day Collaboration with Goldspot Brewing Company and Pink Boots Society! With the help from Root Shoot Malting Source of Nature Capital Tea YCH @ontapcredit and all the amazing ladies that took part in our brew day, we brewed a American Pale Ale with two tea blends, Prickly Pear Puree and a custom Pink Boots hop blend with Loral, Mosaic, Sabro, Glacier, and Simcoe! 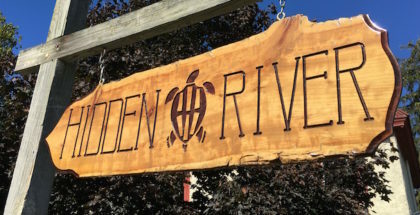 Details: Family Style – 5 course DINNER paired with BEER featuring Butcher and The Blonde + Primitive Beer..
2025 IONOSPHERE STREET, UNIT 101 Longmont, CO. 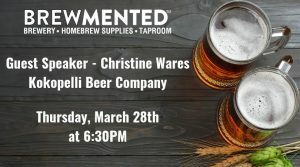 Details:Come and meet Christine, the owner of Kokopelli Beer Company. Kokopelli is the first solely woman owned and operated brewpub in Colorado! 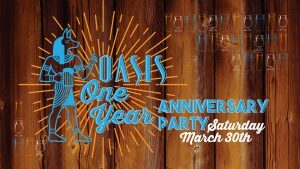 We’ll be pouring samples of two Kokopelli beers while Christine talks about the brewery and each beer. A deliciously creamy head tops off fruity and tangy sweetness. Finishing off with a nice strawberry and banana flavor. Guaranteed to quench your thirst on a warm spring day. A malt forward medium bodied character with a slight hop bitterness, and hints of roasted grain. Moderate carbonation gives it a smooth and slightly caramel finish. Details: You know how it’s always bout damn time for a Bout Damn Time, our classic India Pale Ale? Well, now it’s bout to be effin’ time for a Bout Effin’ Time, an imperial version of Bout Damn Time. 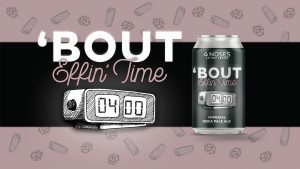 Think, all of the characteristics you love about BDT – the crisp, clean body and assertive, piney hop bitterness – but ramped up to the nines. Yeah, we’re pretty excited about this one. Details: Pure Project #ISO….Another dangerously drinkable Triple IPA from Winslow and the team. Mosaic and Citra create aromas of fruit punch and ripe cherry with notes of passionfruit and guava on the palate. Pure Project Tropical Mist….Inspired by our roots in Costa Rica watching the post-rain mist rolling off the jungle. Tropical Mist is a Blonde Ale built on a base of organic Copeland Malt from Admiral Maltings in Alameda, CA, which is then fermented with our house Murky yeast. Crushed organic Valencia oranges from Stehly Farms in Valley Center give this brew a super refreshing finish, made for sipping slowly in the San Diego sunshine. Pure Project Murklands…Our crowd favorite Pale Ale brewed with rotating hops and and utilizing Organic Rye to create a crushable, spicy backbone. The yeast adds fruity esters of peach and citrus that layer over the trademark dank hop aroma. Details: This Friday will be our first public release of a Méthode Traditionelle Beer! Framboise Traditional 2018 will be available on draught and to go in 750ml bottles. No limits on to go bottles. We will also be tapping a keg of Framboise Harvest 2018. Framboise Traditional 2018 is a Méthode Traditionnelle Spontaneous Sour Ale Aged in Oak Barrels with Raspberries, Cherries & Vanilla Beans. Aged on a bed of raspberries and cherries, this traditional framboise first undergoes natural fermentation in oak with the wild yeast and bacteria surrounding our coolship and native to our brewery. Our modern approach to this old world style utilizes the addition of cherries as a source of filtration for the raspberries resting on top. Balancing out the boldness of the whole fruit we added vanilla beans to create a complex, slightly sweet finish. Come support all the amazing women in your life, and those that have made an impact in our society! For the last few years, we’ve been participating in an annual collaboration with Pink Boots Society, which provides education to women in the beer industry. 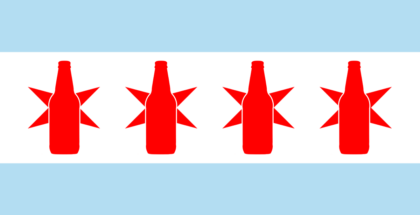 Saturday, March 30th: sneak peek draft-only release at the River North Brewery taproom. Sunday, March 31st: Full release at Liberati Osteria & Oenobeers, with both draft and Crowlers available. For those following, this is your first chance to take a Liberati beer home. We will have a special bonus for those that visit both releases! Details: We’ve got some flocking fabulous news! Flamingo Dreams Nitro, a berry blonde ale, will be flying into our Tasting Room to strike a pink pose. Come flamingle with us Saturday, March 30th for a Release Party in celebration of this daring new nitro ale. A refreshing change from the ordinary, Flamingo Dreams Nitro turns beer dreams into reality with a berry burst, frisky zing, and a nitro glide that will have you longing for more. With loads of fresh raspberries and blackcurrants inside, it pours striking pink and is sure to turn some heads your way. So, embrace your inner flamingo, Lefties, and come dressed in your flamingo best. 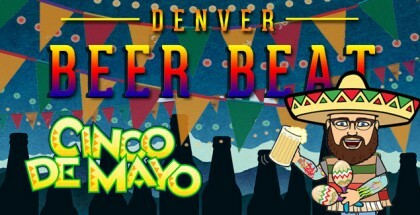 The beer will be flowing as we roll out new flamingo beer gear, food specials, games, prizes & a costume contest for the chance to win BEER FOR A YEAR! If you stand out in a crowd and don’t give a flock what others think, you’re ready for Flamingo Dreams Nitro and we welcome you to #jointheflock. 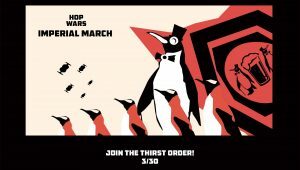 Details: The HOP WARS saga continues with… IMPERIAL MARCH! Join us once again, this time as six of Colorado’s best traditional & hazy Imperial/Double IPAs battle for supremacy of your tastebuds. Cast your vote once you’ve tried the flight of 3 traditional or 3 hazy Imperial IPAs “IN THE BLIND” as we’ve always done. 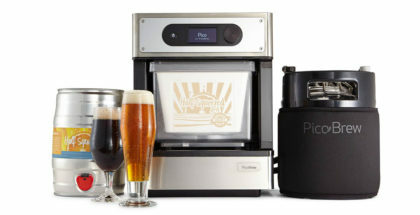 Your vote is also an entry to win awesome Colorado craft beer swag. If you’re extra adventurous, try to guess all six breweries of both flights correctly for a special bonus prize! 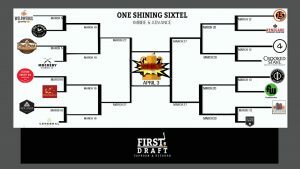 The traditional flight will be Odell Brewing Co vs Ska Brewing vs Avery Brewing Company, while the hazy flight will be Cerebral Brewing vs WeldWerks Brewing Company vs Outer Range Brewing Co.! Flights begin pouring at 3 PM as does voting. Turn in all votes by 6 PM and our victors shall be announced soon after! Details: On the 90th day of the year we celebrate one of our all-time favorite beers, 90 Shilling. We made it back in 1989 but you made it what it is today. Join us at the taproom and across the country by raising a pint of 90 Shilling and toasting to the past, present, and future of great beer. 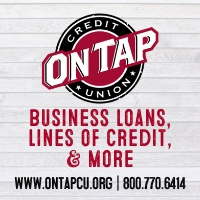 Can’t make it up to our taproom? Get a pint of 90 Shilling and share your toast with #90shillingday! 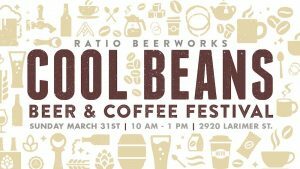 Details: Back by popular demand, join Ratio Beerworks for a grand celebration of beer, coffee, and coffee beers. 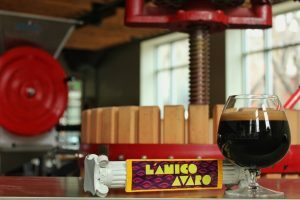 Ratio Beerworks has once again teamed up local coffee roasters to showcase the diversity of flavors that can emerge from differing coffee bean varieties, various levels of roasts, and how all of those flavors can be highlighted or enhanced when infused in an array of beer styles. Kick off your morning with Denver’s most talented local creators of all things coffee, beer, and brunch. Details: It’s been 100 shows since I started performing as The One And Only Jon Ham, and we’re bringing it back to where it all began…Chain Reaction Brewing Company! This one’s going to be extra zoppity. -Super special guests Luke & Niki of The Dollhouse Thieves will be joining in the musical fun! –Dizzie inK Screen Printing will be on site live screen printing limited edition shirts with the Chain/JonHam collab logo!